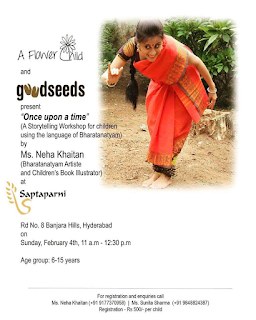 storytelling workshop for Children using Bharatanatyam Abhinaya at the beautiful earthy setting of Saptaparni. 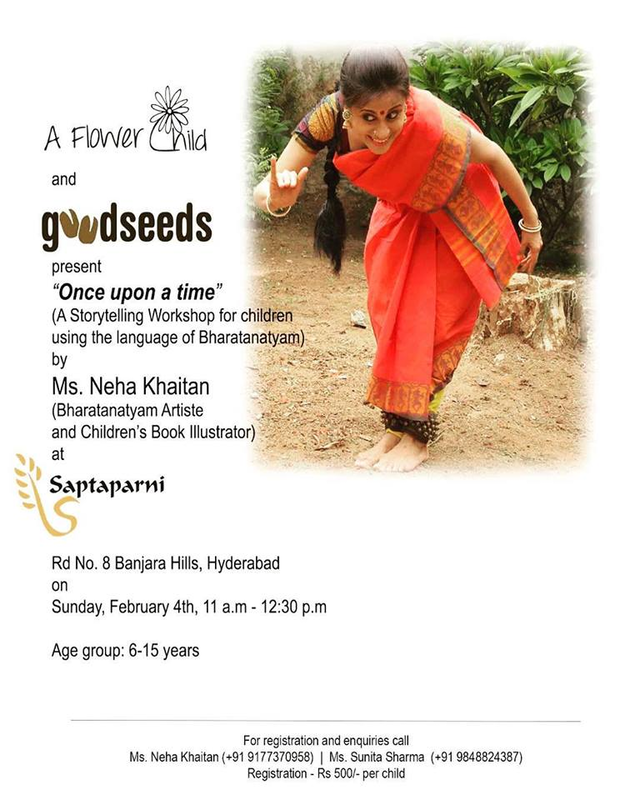 This aims at exposing Children to a different way of communication as well as the Indian art and culture. Children will be encouraged to present a short act at the end of the workshop. This is a part of the green organic bazaar by GoodSeeds - Organic & Eco-Friendly Living. Please join us and be a part of this unique experience of art, culture, health and entertainment.